We all love the modernity of today’s world, but who wouldn’t love to step back, even just for a day, into the romantic ‘50’s ? 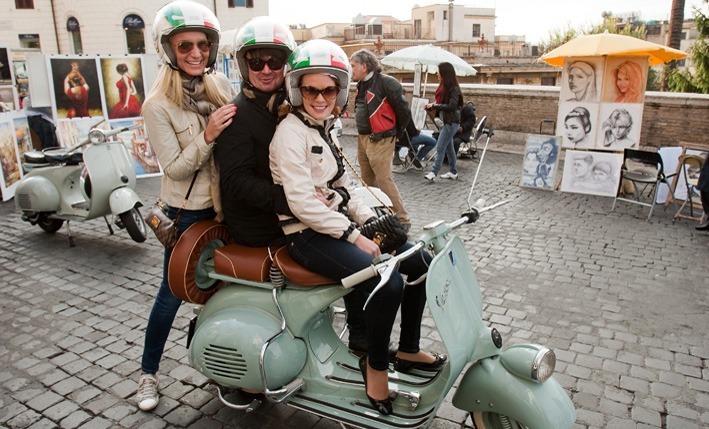 You can do exactly this by seeing Rome from the seat of a Vintage Vespa, in the care of expert drivers so you can just relax and enjoy the ride! 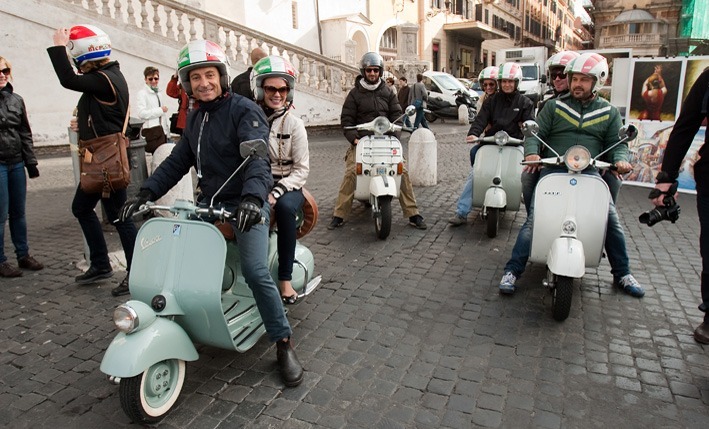 The same motor scooter driven by Gregory Peck and Audrey Hepburn in the famous film will give you a chance to take a dazzling buzz around Rome on two-wheels ! 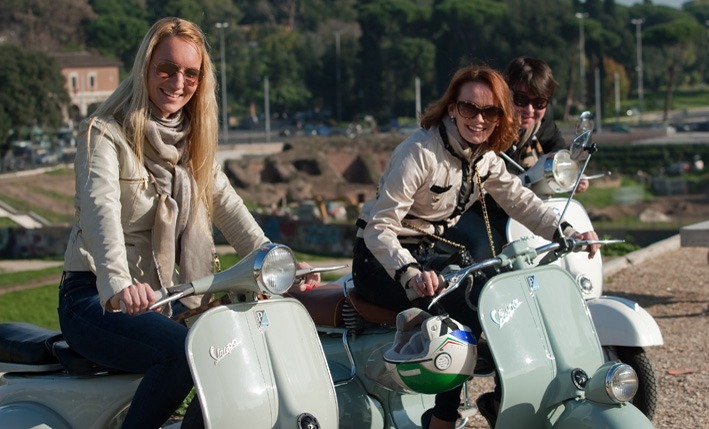 GLESUS offers a variety of itineraries designed especially to be enjoyed from an authentic Vintage Vespa. You may choose from “Historical Rome”: a drive into the most interesting and picturesque corners of Rome often neglected by visitors; “Hidden Rome”, an itinerary featuring secret, hidden places rarely included on typical tourist itineraries; “Rome by Night”, an evening drive around the Eternal city with its monuments alit and an altogether fascinating “by-night” atmosphere; “Romantic Rome”, including stops to the most romance-inspiring locations around and overlooking Rome with breathtaking panoramas; or the classic and all-time favorite “Roman Holiday” drive, buzzing around the city to the places made famous in the scenes of the fabulous film – and more, all to make YOUR Roman Holiday one-of-a-kind!